On September 11th the U.S. EPA released a proposal that relaxes requirements for how energy companies monitor and repair methane leaks. This proposal is among the many proposed rollbacks of Obama-era regulations. The draft proposal has not yet been published in the Federal Register. Under the proposal, companies would perform a leak inspection at least once a year for most cases and every two years for low-producing oil and gas wells, compared to the 2016 regulations that required inspections as regularly as every six months. Additionally, companies would have 60 days (compared to 30 days) to fix leaks. 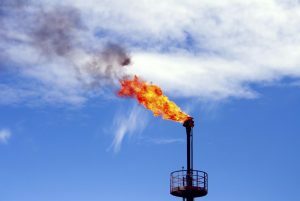 Other proposed changes include: 1) doubling the amount of time between inspections of equipment that traps and compresses natural gas and 2) allowing companies to follow state-level methane standards (in California this is more stringent). Overall, this move would make it easier for oil and gas companies to release methane, contributing to global warming.